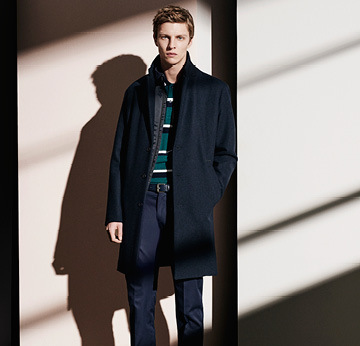 Sport-inspired style comes to life in the Men's collection with bold graphics, clean lines and a modern twist on classic essentials. 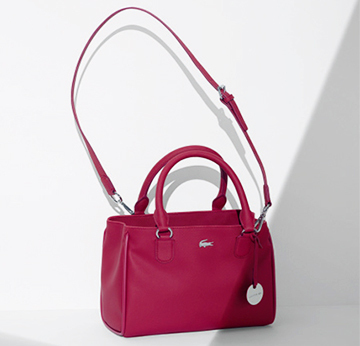 The Women's collection brings a breeze of fresh air to city streets this season with an effortlessly chic range. Featuring supple colours and natural, soft to the touch fabrics in classic designs. Inspired by different urban sports: skateboarding,table tennis, rollerskating and swimming.This easy-to-wear functional wardrobe sets the brand DNA in a modern and playful way. 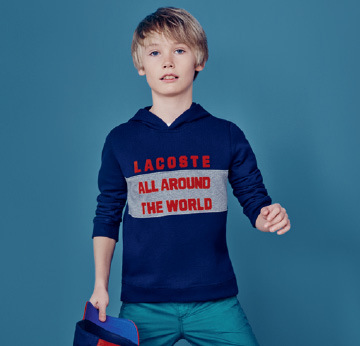 Lacoste enjoys a unique and legendary connection to the world of sport. This heritage infuses a collection of urban, modern and ultra-functionable bags and accessories that slip seamlessly into your everyday wardrobe. 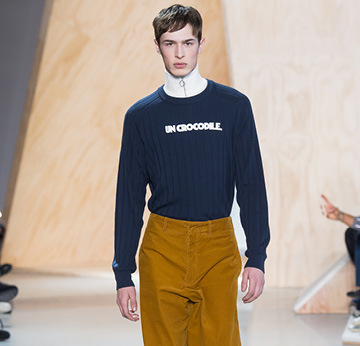 Lacoste's creative Director Felipe Oliveira Baptista envisioned a clever and streamlined collection, featuring playful pixelated embroideries and the brand's very own vintage advertising messages. Dynamic, functional and 100% CROCO.